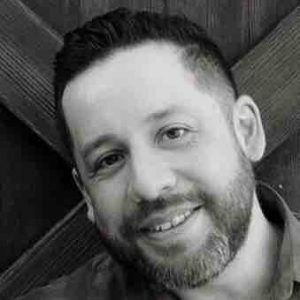 Jose De La Cruz resigned last week as the chief innovation officer of San Antonio, Texas, after nearly three years in the role. De La Cruz, who was appointed to the position in March 2016, left for a job with the San Antonio Water System, where he worked from 2007 to 2012. As the city’s first-ever chief innovation officer, De La Cruz was responsible for overseeing the implementation of San Antonio’s “smart city” initiatives, including the installation of energy-efficient streetlights and surveillance cameras, building Wi-Fi access points in public parks and introducing unmanned aerial vehicles to fire and emergency medical services. Most recently, San Antonio completed the rollout of a new mobile app for its 311 service. The program, 311SA, which was developed by local software firm Cityflag, uses social-media interaction and a game-like interface to encourage residents to report potholes, stray animals and other municipal issues. The app was launched in August, with its creator claiming that more than 90 percent of requests submitted through it are resolved within days. De La Cruz, who was not available for an interview, was also responsible for the creation of a project known as the San Antonio Traveler Real-Time Information Portal, or SATRIP, that monitors traffic volume on busy roads and can prompt the city’s street management system to automatically adjust the timing of traffic lights as a way to ease congestion and increase pedestrian safety. Many of the projects De La Cruz pursued as San Antonio’s innovation chief were done in conjunction with other organizations, including the Texas Department of Transportation and the University of Texas at San Antonio. He stressed the importance of collaboration in a 2017 interview with StateScoop following a smart-cities workshop. “There was a feeling that everyone is doing these types of projects, but now we need to work together and do them together,” he said at the time. Before being named as chief innovation officer, De La Cruz spent more than three years in the San Antonio innovation office as performance and management specialist. The office has worked with 70 percent of the city government’s agencies and been credited with saving municipal coffers $20.3 million. De La Cruz’s first day with the San Antonio Water Authority is Dec. 3.